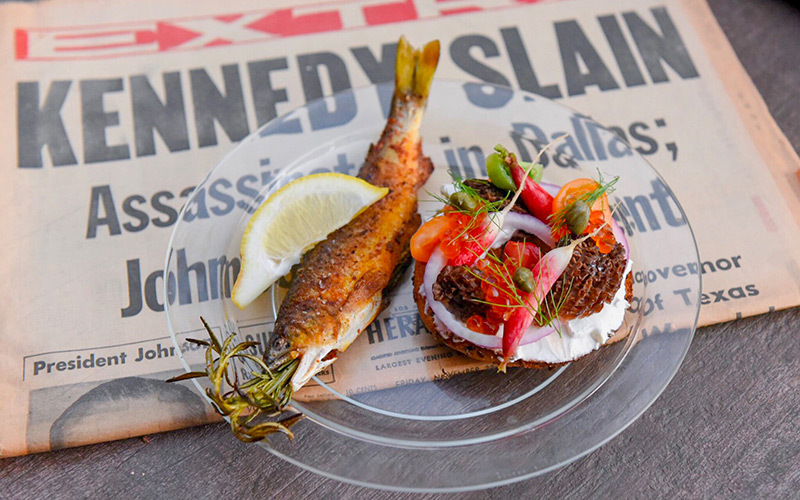 PlaceSetting, a new pop-up dinner series that explores the location, architecture, and history of Los Angeles’ homes, is what happens when a chef and a consummate hostess fall in love. For over two years now, Courtney Nichols has been masterminding Disco Dining Club, a hedonistic dinner-slash-party experience. Abiding by the mantra “consume everything,” DDC embraces decadence with rich food, free-flowing cocktails, endless oysters, and a raucous afterparty. It was at DDC’s one-year anniversary event that Nichols met chef Gabriel Cappelli (The Edmon, Saint Martha), who was working that particular fête. Months went by before the pair reconnected on social media and began dating. PlaceSetting is the amalgamation of Cappelli’s culinary know-how and Nichols’ passion for parties. Unlike DDC, PlaceSetting hinges on its location. Each of the dinners—held bi-monthly—will be staged in a different private residence and will honor the home’s past and present, from the era in which it was built to those who have called it home in the decades since. The inaugural event, which takes place on July 13, will be held in Nichols’s own Westdale residence. The mid-century modern home was built in 1947 and purchased that same year by a member of her family; she went on to inherit the house from her late grandmother. “It still has all the elements of my grandmother’s aesthetic, from the shag carpeting to the orange trees outside,” Nichols says. 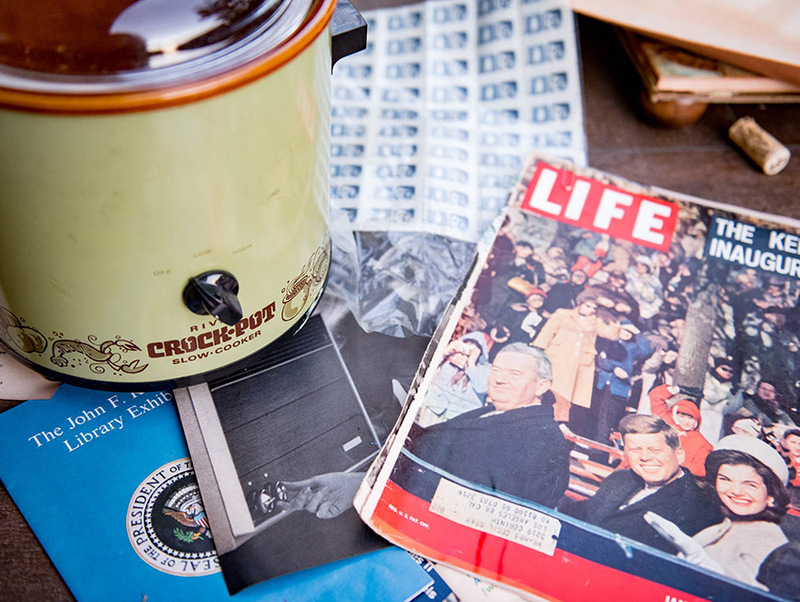 This also includes items from her grandmother’s collection of JFK memorabilia, which Nichols discovered in a shed. Cappelli will use what the house provides—appliances and otherwise—to prepare the meal. Guests will indulge in a duck pâté with sun-dried oranges harvested from the backyard and a chili verde made in “the 616th Rival Crock-Pot manufactured in the United States.” There are nods to Nichols’ Jewish heritage, like a smoked fish dish served with potato and rye latkes. The atmosphere will be casual, like attending a dinner party hosted by old friends. Guests will be treated to a welcome cocktail and snacks upon arrival. Mingling is a certainty. When it’s time to sit down for dinner, guests can help themselves to bottles of wine, placed on the tables. Another cocktail will emerge between courses three and four. In between dishes, Nichols will provide context, telling stories about her grandmother and the neighborhood’s history. Music and dance performances, each tailored to the space, will break up the evening. At eight courses, not including the snacks and amuse bouche, Cappelli assures guests will not leave hungry. “We’re making sure you get your money’s worth,” he said. Future dinners are planned for a 1920s Hollywood home on the Paramount backlot and a private residence in Mt. Washington. The number of guests will vary based on what the home can comfortably accommodate, generally falling between 25 and 60 people. “We really want to showcase the diversity and the multitude and colorfulness of Los Angeles homes in a way that really expresses that home to its fullest capacity,” Nichols said. Tickets are $125 each and can be purchased online; keep up with their delicious pursuits on Facebook and Instagram.